How can you paint a series of STRONG WOMEN and NOT include Maya Angelou? You can’t, you just can’t! She was fierce, strong, smart and her words very powerful. Wouldn’t you have loved to have been friends with her? My previous ‘strong’ women have been perhaps physically strong, some were imagined, but Maya was real and all heart and soul and a role model to so many. To me, she embodied what it means to be a strong woman, she was smart, persevered, and carried herself with style & grace. She is painted in black,blue and white. With an abstract teal, orange and tan background. She gave voice to so many, hard to believe that at one time she did not speak… Though one of my favorite poems from her is The Caged Bird, the verse from Still I Rise was calling to me. So apropos these days. This is painted in a much looser and organic style than some of my previous ‘Famous Portraits’, but the message is still the same: you have everything you need inside of you… Use it! 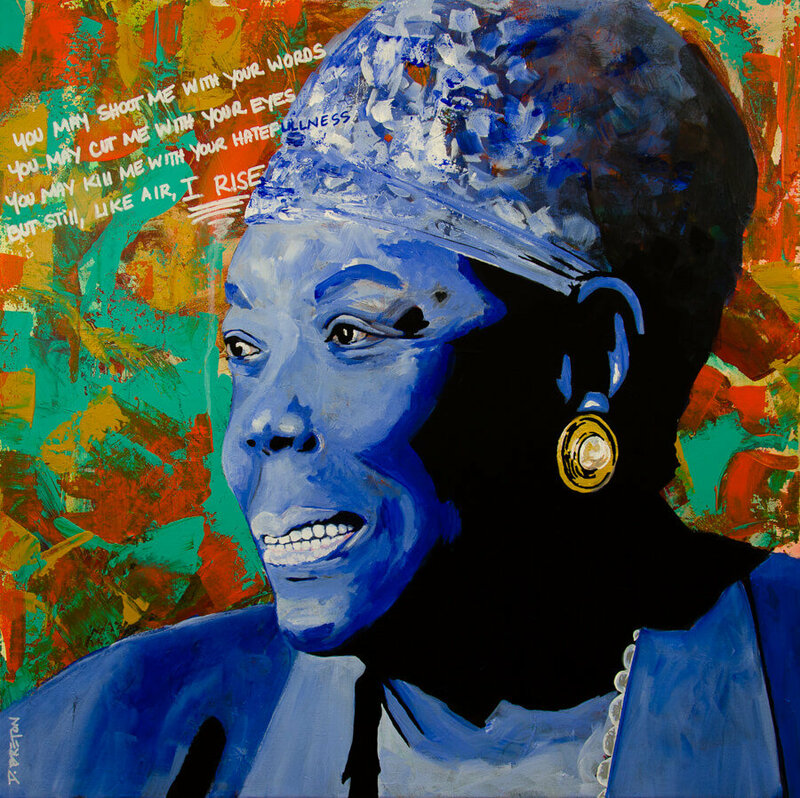 If you like this Maya Angelou painting, you can add it to your art collection; get it here! I do so love this, painting and poem, and connect even more strongly because of my latest post, “We Rise”…nice sync! Hi John! I believe there are many more of us on the ‘same page’ these days, don’t you? Seems the status quo – is no more. We are questioning the old ways, old beliefs and bringing more heart, compassion and meaning to our lives. Part of that is recognizing the broken systems, or in our case as artists, to expose them. Your piece is powerful, you say in words what I cannot, thank you. Love her! Love the words! Love this piece and I appreciate the process! I appreciate your comment, and so glad that she resonates with you. I’ve always found her words inspiring and empowering. They seem to be even more relevant these days! Thanks for stopping by ~ cheers! P.S. 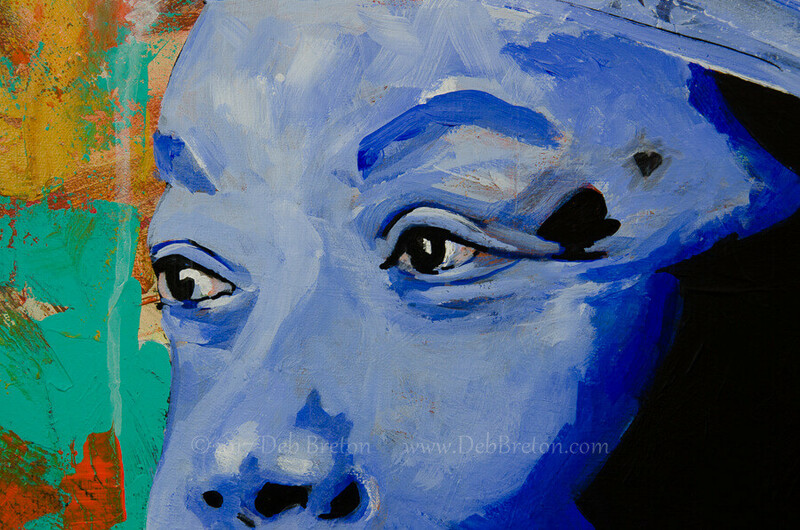 Like most paintings, the colors look richer in person, plus the varnish deepens the color a bit.